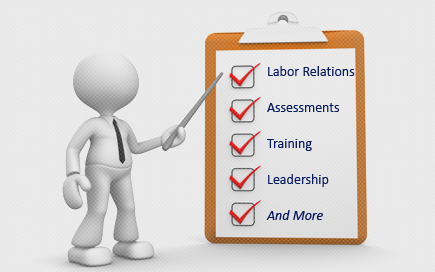 Labor Relations News Update August 5, 2014 | Oliver Bell, Inc. The National Labor Relations Board’s General Counsel’s Division of Advice has determined a union violated the National Labor Relations Act by failing to provide to an employee a sufficient “Beck” notice and adequate post-objections disclosures and challenge procedures, and by threatening to discharge the employee for nonpayment of service fees before fulfilling its Beck obligations, according to a newly released Advice Memorandum. Teamsters Local 848 (MV Transportation), Case 31-CB-72773 (issued Dec. 17, 2012, released July 3, 2014). When a union seeks to collect dues and fees under a union-security clause contained in a collective bargaining agreement, it must first inform employees of their rights to be, or remain, a non-member. It also must inform them of their Beck rights — that non-members have the right to (1) object to paying for union activities not germane to its representational duties and to obtain a reduction in fees for such activities; (2) be given sufficient information to intelligently decide whether to object; and (3) be apprised of any internal union procedures for filing objections. I understand that under current law, I may elect “nonmember” status, and can satisfy any contractual obligation necessary to retain my employment by paying an amount equal to the uniform dues and initiation fee required of members of the Union. I also understand that if I elect not to become a member or remain a member, I may object to paying the pro-rata portion of regular Union dues or fees that are not germane to collective bargaining, contract administration and grievance adjustment, and I can request the Local Union to provide me with information concerning its most recent allocation of expenditures devoted to activities that are both germane and non-germane to its performance as the collective bargaining representative sufficient to enable me to decide whether or not to become an objector. I understand that nonmembers who choose to object to paying the pro-rata portion of regular Union dues or fees that are not germane to collective bargaining will be entitled to a reduction in fees based on the aforementioned allocation of expenditures, and will have the right to challenge the correctness of the allocation. The procedure for filing such challenges will be provided by the Union, upon request. The employee became a union member in June 2010 and signed the form. In April 2011, he notified the union that he was electing non-member status and objected to paying the portion of dues not germane to the union’s representational activities. He also requested the union provide him the most recent allocation of expenditures as well as the procedure for filing a challenge to that allocation. In response, the union informed the employee of his service fee rate, which included a discount for the percentage of nonchargeable expenditures, and that dues could be paid monthly or quarterly. It enclosed a one-page schedule of allocated expenditures for 2009, which reflected categories of expenditures and the amounts attributable to chargeable and nonchargeable activities for the union. Three of the categories reflected per capita taxes paid to various affiliates, including the international. The union did not provide accompanying notes that the schedule document described as an “integral part” of the document. The union also did not provide a description of the process for challenging its allocation of expenditures. After he received the union’s response, the employee asserted the response was deficient and asked for an independently audited financial disclosure for 2010 and the challenge procedure. However, the union either did not respond to those requests or responded inadequately. In mid-December 2011, the union sought to collect unpaid dues from the employee, sending him a letter detailing the amounts that were overdue and informing him that if he did not pay the dues by a stated deadline, the union would seek his removal from employment. When the employee failed to remit the outstanding amounts, the union informed the employer of the delinquency and requested that it discharge the employee. The Division of Advice instructed the NLRB Regional office where the dispute originated to issue an unfair labor practice complaint alleging the union violated the NLRA by failing to provide a comprehensive initial Beck notice, failing to supply sufficient post-objection information, failing to maintain an adequate challenge procedure, and by threatening to seek, and seeking, the employee’s discharge without first complying with its Beck obligations. According to the Division, the Beck notice used here was deficient in two ways. First, it did not provide information sufficient to decide whether to object because it did not inform the Charging Party of the potential savings if he objected. Second, the notice did not apprise the Charging Party of the process for filing an objection. (At a minimum, the notice should inform employees to notify the union of their decision to become a Beck objector.) Here, the notice merely stated that an employee “may object to paying the pro-rata portion of regular Union dues or fees,” but did not specify how to lodge such an objection. It appears the General Counsel, the NLRB’s chief prosecutor, is serious about protecting employees’ Beck rights. Unionized employers whose employees express concern about their obligations to become a union member under the collective bargaining agreement’s union security provision, or question the amount of money they are required to pay to the union may want to refer those employees to the local NLRB office for information about their Beck rights. United Steel Workers Union members at the Honeywell Uranium Conversion Plant in Metropolis are locked out of the plant again. The two sides had until 12 a.m. Saturday to reach a new collective bargaining agreement. Negotiations went on late into the evening, but concluded without a deal. “Honeywell is disappointed that USW Local 7-669 leadership allowed their contract to expire Friday without allowing its membership to vote on Honeywell’s competitive and comprehensive offer for a new six-year collective bargaining agreement,” said Honeywell spokesman Peter Dalpe. Dalpe says the company remains committed to bargaining in good faith and reaching a settlement. Employees will be permitted to return to work upon union ratification of a new agreement, he said. Until a deal can be reached, Honeywell says the plant will continue to operate with salaried workers who have already been trained and qualified by the U.S. Nuclear Regulatory Commission, the agency that licenses the facility. They will continue negotiations for a full week starting Aug. 18. “It’s unfortunate that the company wishes to put the community at risk and customer expectations in jeopardy when we are willing to continue to operate the plant while we work to reach a fair and equitable agreement,” said Stephen Lech, president of the United Steelworkers Local 7-669. Honeywell says the Union is making “unreasonable” demands. Such as a five-percent pay raise over a three year contract. “Unfortunately, the union leadership’s expectations are out of step with the reality of the challenges facing the plant and today’s economy. Metropolis union workers are among the highest paid workforces in the region, and millions of Americans would gladly be compensated as the hourly Metropolis workers are,” said Dalpe. USW officials say Honeywell Management brought a proposal to the table that was “virtually unchanged” from a prior offer that was rejected. The union declined to vote on the offer. USW workers were locked out of the plant for more than a year back in 2010. The Union says they are scheduled to resume negotiations at 10 a.m. Saturday. The National Labor Relations Board, in its July 31, 2014 decision in Ralph’s Grocery Co., 361 N.L.R.B. No. 9 (2014), ruled that so-called “Weingarten rights” – the general right of a unionized employee to request union representation in connection with an investigatory interview that could lead to discipline – apply when employees request representation after an employer refers them for a workplace drug/alcohol test. Based on this ruling, the Board overturned an employee’s suspension and discharge, finding the actions were inextricably linked to the employee’s request for representation after referral for a drug test, and ordered a make-whole remedy. Member Johnson, who joined in the conclusion that the employer had interfered with protected rights, dissented with respect to the award of a make-whole remedy. Johnson reasoned that the employee’s discharge was based on “information [the employer] already had” apart from the test result. Chairman Pearce and Member Schiffer disagreed, noting the absence in the termination report to any reference to observed behavior reflecting impairment or any finding beyond the test refusal that the employee was under the influence of intoxicants. This is not surprising as, in the case of issues of proof as to whether an employee is working under the influence of or impaired by drugs or alcohol, the best evidence is typically a confirmed positive test result. Unionized employers that refer union-represented employees for a drug or alcohol test need not advise an employee of his/her Weingarten representational rights. It bears emphasis that the action in Ralph’s found to be unlawful was not a test refusal per se, but rather a test refusal combined with the employer’s refusal to allow union representation. Where a unionized employer refers an employee for a test, and a union-represented employee refuses to submit to testing but does not request representation, adverse employment action is still lawful. Note also that Weingarten rights generally do not include a requirement that an employer, absent specific labor agreement language, allow an employee’s specific choice of union representative, or permit the employee to unreasonably delay the drug test in the event no union representative is available. In contrast, in the Ralph’s case, the Board faulted the employer for not “wait[ing] to see if a representative would become available” after the employee requested representation.